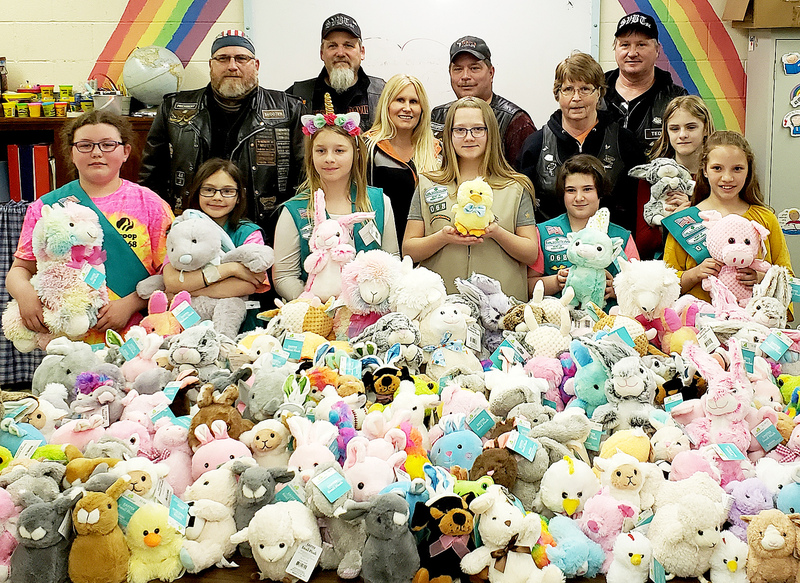 Jersey Shore Girl Scout Troop 60068 are shown with members of the Susquehanna Valley Big Twins Motorcycle Club and a whole lot of bunnies. 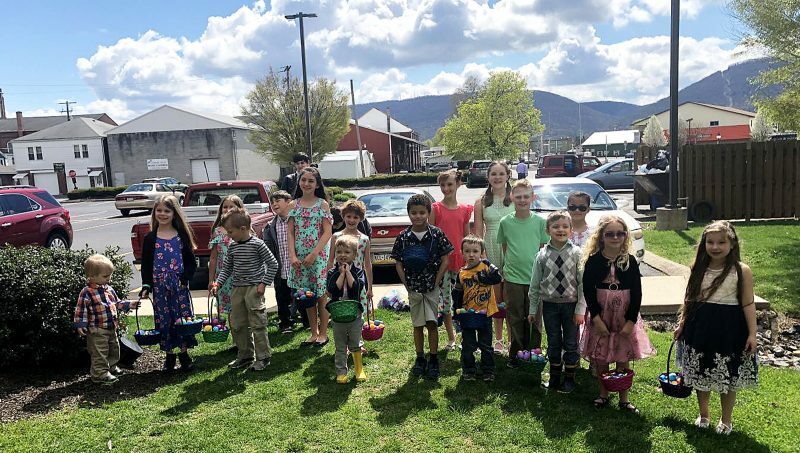 The girls took their profits from cookie sales and bought 200 stuffed animals to donate to the SVBT’s annual Bunny Run. The bikers give the bunnies to youngsters in area hospitals. The SVBT came to the Girl Scout meeting to pick up the stuffed animals and thanked the girls for their donations and hard work. Girls in the troop are, from left, Ava Budd, Marissa Liao, Faith Hower, Phoebe Henry, Ava Shumway, Danielle Miller, Alayna Hopple. Names of the motorcycle club members were not available.